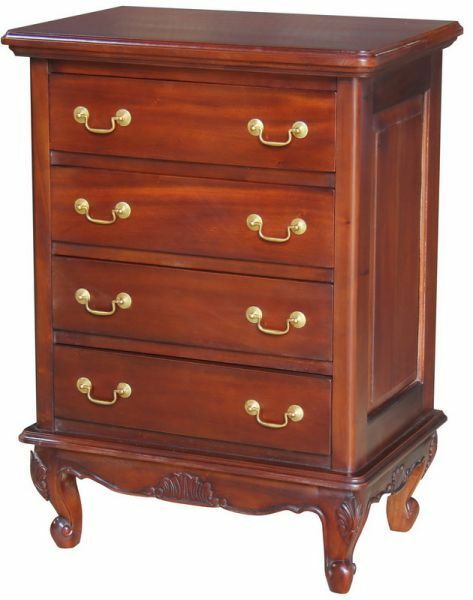 Our smaller Louis Chest of four drawers is made of mahogany and is fitted with antique brass drop handles and dovetailed drawers. This makes an ideal storage chest or larger bedside cabinet and perfectly complements other furniture in our french bedroom collection especially our Louis beds with product codes LBE1106 and LBE1107. 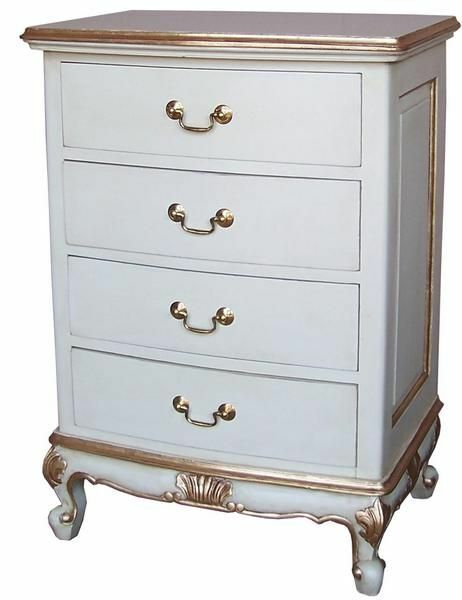 Colour/Finish: Polished Mahogany, Antique White, White and Gold or other finishes to order.